But it doesn’t really work. it seems to display all. I have just switched to v2.5.12 and tested. It works fine. I am not sure if it’s already reported or I have missed something. BTW, Thank you for all of your work. I am so excited to use 2.6! Can you please tell me when it should be released? maybe in a week? I have installed BBPress 2.6 RC3 because my host upgraded PHP version to 7.1.6. I’m using WordPress 4.7.5. I also checked other themes and works fine. I see you have activated a few plugins. You should deactivate them and switch to WP default theme. I found a bug with bbPress RC3 and BuddyPress. Tested with a fresh install using WordPress 4.8, and with only bbPress 2.6 RC3 and BuddyPress 2.8.2 activated. On the activity page the drop down box has duplicates. I’m running PHP 7.0. I can confirm your widget issue. I’ve created at ticket: https://bbpress.trac.wordpress.org/ticket/3123. You can follow the progress there. @thebrandonallen Thank you! so fast! There seems to be some extra filtering going on in the bbp_get_topic_pagination_count filter that I use to insert some extra detail about who (which logged in users) has seen a post. That’s fine of course. The problem for me is that I insert a <span> (with a class) to enable styling of my extra content and this new filtering is coding the HTML, e.g. < becomes &lt ; etc. Can this be addressed please? Or can you direct me as to which filter to switch off please? @peterwsterling Can you add a copy of the exact code you’re using please? where can I download the latest Release Candidate 4? I am not sure about “Candidate 3 or 4”. but just wonder 😉 when 2.6 will be released? It goes to Candidate 4 before released? Is the following feature available in 2.6? Blog Forum Cross-posting Feature, where the comments on particular blog post will also be posted as Forum Replies. The problem with this plugin is it won’t allow further comments to be posted. It replaces the comments section with a link to discussion where all the comments are moved to the forum. I want the comments to be enabled so a user with no time can just leave a comment and go. I read this feature is going to be part of core BBPress 2.6. Could somebody confirm on this? Hope to see the 2.6 release soon. I’ve been running 2.6-rc-3 on a test site for a couple of weeks now. Works great but I am getting a lot of error log entries. Will 2.6 include direct image uploads as opposed to just URL copy/paste? Forgive me if this has already been discussed but I was wondering if a fix to the pagination links of threads with 100 or more pages of replies has been resolved as part of 2.6? Well we’re all waiting for breaking news for bbPress release or rc4 but online timesheets it is not. And seeing as user onlinetimesheets’ system is built on Microsoft ASP.Net 4 it seems unlikely to make much use of bbPress..
Now, could we get the bbPress on wordpress.org to add the Plugin name (Forum title) to the email alerts? It’s tiring getting all the alerts with no context about which plugin they refer to. Noticed when migrating from 2.5.12 to 2.6 beta 2 (and also in RC1 and RC3), that my custom CSS file in mytheme/css/bbpress.css is no longer being detected. So, it is not looking in the site css folder, but instead pulling from the plugin folder. Is this intentional? If not, is there a fix/workaround? Realized part of it, it is looking for a .min.css version, and I only had bbpress.css. When I copied the bbpress.css file to bbpress.min.css in my child theme it found it. The seperator of a comma is being put after each li tag instead of inside of it. Quick question regarding adding multiple moderators to a specific forum. Can you add the usernames separated by a comma? @JJJ , I have RC5 running. 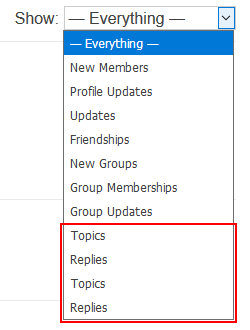 Whenever I update a topic in admin area the user subscriptions get lost. As admin, I need to correct spelling errors and tags of a topic. But after saving (in backend admin area), all subscriptions get lost. Is this a bug?